The time goes by, I’ve been working in Palma for 2 months already. In the last two weeks I’ve carried out the activities listed below. As part of the social media strategy, I’ve created a Facebook page for a brand-new app released by one of my client companies. I’ve started populating it with contents and promoting it on the network. I’ve attended a few Skype calls for kicking off either a brand-new collaboration with an international consulting partner and for moving on with the planning of the tourist event scheduled for October. I’ve researched public funding options for a new customer in the agricultural field and I’ve thought of a storytelling for a new cosmetic brand. But the most time-consuming activity has been the research on the application process for making one of my customers get an international patent, which is still in progress and involves state of the art, technology specifications and claims. While getting more and more into the job, I’ve struggled sometimes in carrying on my activities, especially with one of the clients with no structured processes and with overlapping communication flows. Lack of organization and misunderstanding may cause frustration, which I’ve had to deal with, as part of the training. You need to be very patient with your customers and try your best to accomodate their requirements. Despite of that, I think that, as a consultant, you should point them out a way when they’re lost. 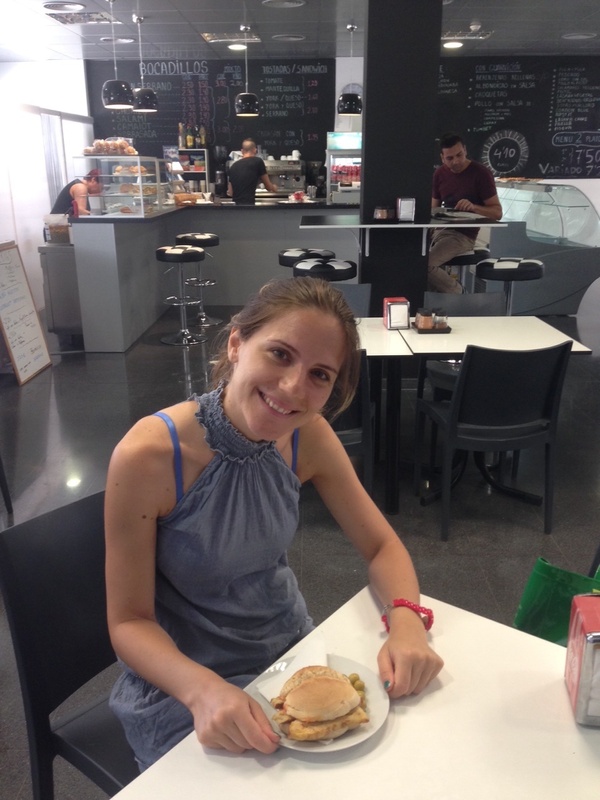 In the picture below, I’m at the bar of ParcBit, at lunch time, eating the typical Mallorcan bread “llonguet” with Spanish tortilla. The local way to get back on your feet!